The New Year was only 25 days old when Private George Goodall became the twenty six member of the "Old Boys" to die on active service, being one of the 64 drowned or died of exposure with the sinking of H.M.S. Laurentic off the coast of Ireland on Thursday 25th January 1917. George Goodall, whose mother Polly lived in 96 Station Road, Beeston2, joined the Royal Marine Light Infantry at the commencement of hostilities in August 1914 when he was only seventeen years of age. At the time of his loss he was serving on the "Laurentic". The White Star Line’s Laurentic3 was built in Belfast by the Harland & Wolf Shipping Company in 1909. She was actually built as Alberta for the Dominion Line, which was owned by the International Mercantile Marine, J. Pierpont Morgan’s shipping conglomerate. During the process of completion the vessel was transferred to White Star where she was renamed. Laurentic was 550 ft long and 67 ft wide. The 14,892gr ton liner could carry 230 First Class passengers, 430 Second Class passengers and 1,000 Third Class passengers. Her crew compliment was 387. She was a popular vessel and saw many crossings during her first few years, in the winter she made many cruises to the Mediterranean and the West Indies. When World War One broke out the vessel was immediately requisitioned by the Admiralty for War duty. Fitted as a troopship in 1914, she sailed for a year carrying soldiers before being again refitted in 1915 as an Armed Merchant Cruiser in the 10th Cruiser Squadron. 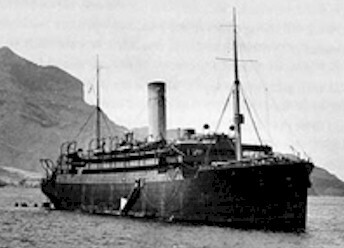 In January 1917 the Laurentic was on "special duty" carrying £5million worth of gold bullion from the British government to the United States of America to pay for war munitions supplied by the then neutral country. The next chapter described the tragic end to the Laurentic. The liner "Laurentic" commanded by Captain R.A. Norton and serving as an auxiliary cruiser, left the port of Liverpool in fine but bitterly cold weather on Tuesday 23rd January 1917. About an hour later she struck a mine in Lough Swilly off the Irish coast and sank in 45 minutes. 316 out of a compliment of 380 on board were saved. Private Goodall was presumed drowned as a Royal Marine he was probably with others employed to guard the gold bullion. In evidence at the inquest Captain Norton stated that his ship left port at 5pm. At 5.55pm when he was on the bridge there was a loud explosion on the port side. A second explosion again on the port side, came 20 seconds later putting out the engine room. The dynamo stopped running and the ship was in darkness with no power for her wireless. The Captain expressed the opinion that most of those lost, died from exposure owing to the bitter weather. The lifeboats had left the ship safely but not the men inside them, several of them had been badly hurt and as the lifeboats were picked up the next day, many were found to be dead. Captain Reginald A. Norton together with the ships chief steward, Mr. Charles Porter, descended down the vessels decks, the couple managed to close two watertight doors and see to that no man still alive was left on the sinking liner. After doing this they got up on deck and entered the last lifeboat. The ship sank in approximately 23 fathoms. 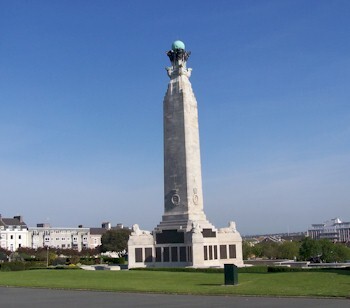 Private Goodall's body was never found and he is commemorated on the Chatham Naval Memorial to the "Missing". The loss of the expensive cargo was also proved a problem for the British authorities. However hope was that the cargo could be salvaged in the summertime easily, because of the shallow waters. The work started as soon as possible and after seven years of salvaging, 3,186 gold bars were recovered. As the total number was 3,211 and no more could be found, the work considered finished. In 1932 a private group of salvagers managed to pick up another five bars from the wreck. The remaining twenty bars still await their recovery. White Star Line built a new Liner in 1927 at Harland & Wolf and named her the "Laurentic"; unfortunately she later suffered the same fate as her predecessor. "Laurentic" was taken over by the Admiralty early in the Second World War for service as as an auxiliary cruiser. On November 3rd 1940, when in the North Western Approaches the "Laurentic" was torpedoed and sunk by a German submarine. Fifty-two officers, including the Captain E.P. Vivian, and 315 ratings were saved. Three officers and 46 ratings were killed. 3The photograph of the Laurentic is from www.laurentic.com/laurentic_gallery.aspx where further photographs can be seen.